In additional to our smaller production ammo can cigar humidors! We also offer custom building services and can create large, handcrafted cigar humidors from various vintage military surplus vessels such as shipping crates, medical chests, foot lockers, storage boxes or missile crates and bomb containers. Our custom built Ammodor cigar humidors have tons of “wow” factor and are sure to be a conversation piece. They are perfect for your cigar shop, mancave, office or cigar bar. Available in a variety of sizes, types, features and costs to fit any budget. All 100% made in the USA by hand using small business craftsmanship. 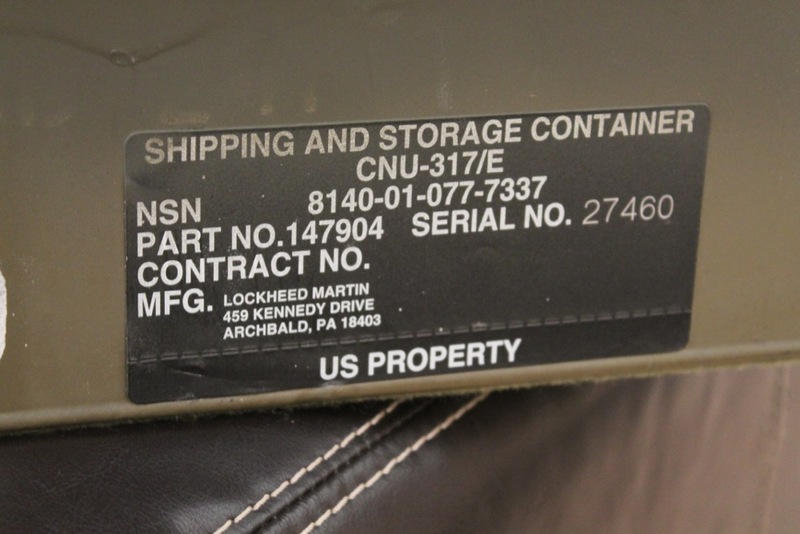 Originally held the guidance kit parts for air to ground missiles for US military. Measured 4′ x 1′ x 1′ and nearly 100lbs. Project included hinging lid, drilling through lid and mounting a custom painted external Don Salvatore digital hygrometer with analog style, mounting 2 Boveda cedar holders on inside lid, felt bottom, solid 1/4″ Spanish Cedar lining, several movable dividers and 2 removable sliding trays. Originally held 81mm mortar shells for UK military. Measured 26″ x 14″ x 8″ and 25lbs. Project included drilling through lid and mounting a custom painted external Don Salvatore digital hygrometer with analog style, large Xikar round humidifier mounted inside lid, several movable dividers, solid 1/4″ Spanish Cedar lining, felt bottom and custom decals applied to exterior to imitate a Habanos cigar box. 30MM caliber ammunition is typically fired from aircraft and helicopters against armored vehicles as well as fortified bunkers. The 30MM ammo can looks and functions similar to smaller ammo cans, measures around 9.5″ x 14.25″ x 18.5 and has a removable lid. 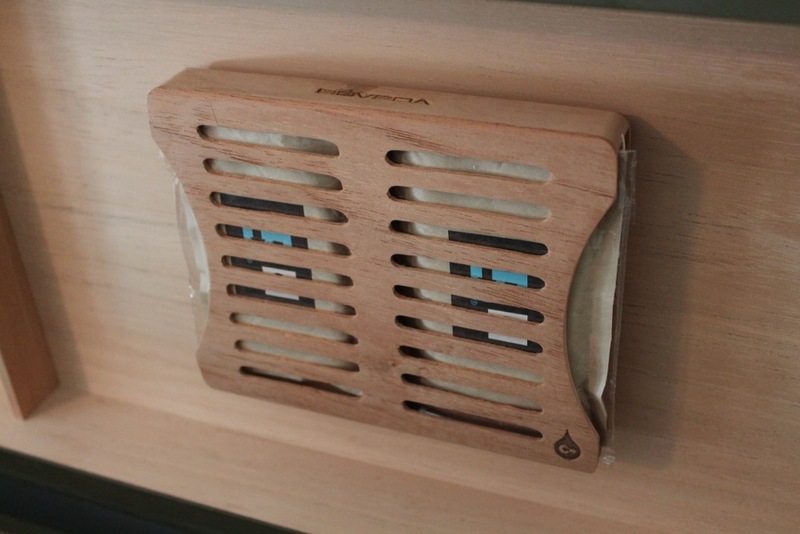 This project included drilling through lid and mounting a custom painted external Don Salvatore digital hygrometer with analog style, large Xikar round humidifier mounted inside lid, three removable solid 1/4″ Spanish Cedar trays with dividers and felt bottom. Was built using a 30MM can from the early 1970s supplied to us. Interested in your own custom Ammodor? Complete the form below and we’ll contact you shortly to discuss your project in more detail. $500-$1000$1000-$2,500Whatever it takes to get what I want! 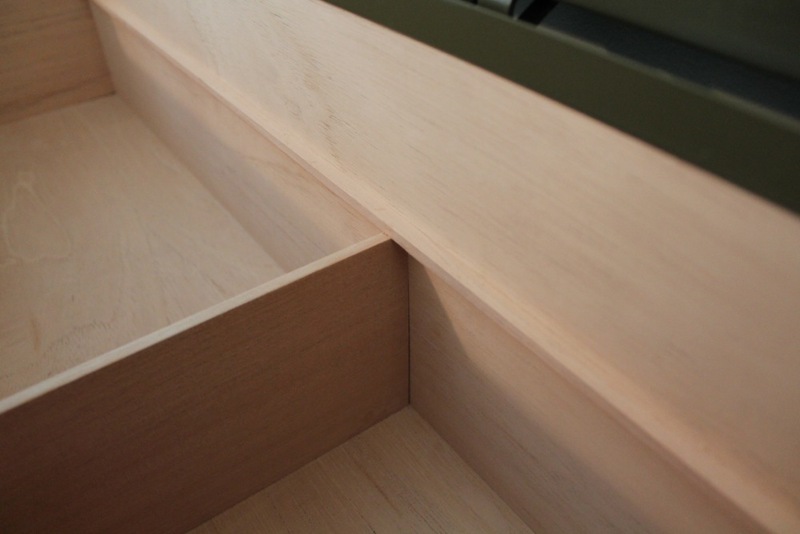 Custom humidors take significant labor hours. Keeping this in mind, what is your initial target budget? 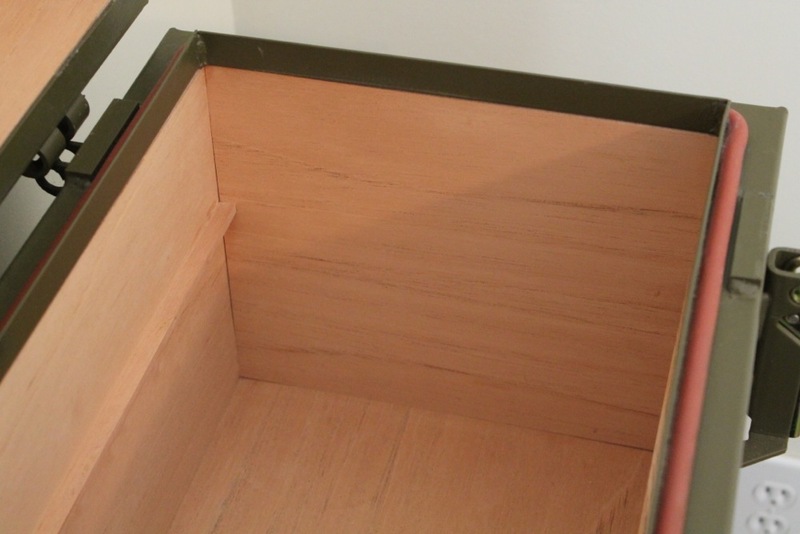 Custom humidors can take anywhere from a few weeks to month to handcraft. What is your timeframe? Tell us a little about your project! Where is your humidor going, how big/small do you need it, about what size, etc. What sort of container did you have in mind (if any). Be as detailed as possible. Kevin recently made me a custom humidor from an 81mm mortar can. The craftsmanship and attention to detail are wonderful. I currently have about 250 cigars of various sizes in the humidor and could probably get 50 or so more in if I was a little more attentive to the arrangement. All interaction and communication was timely and professional. My humidor arrived very well packed and had no damage. It is everything I hoped it would be. 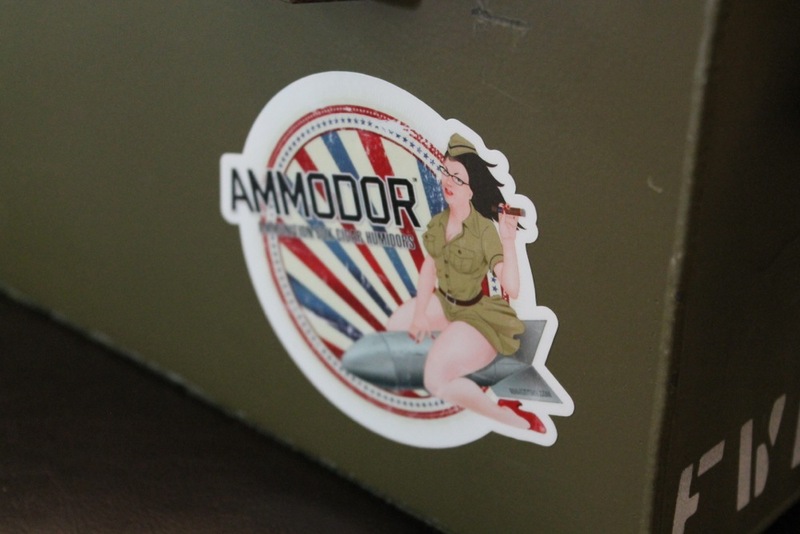 If you are in the market for a quality out of the ordinary humidor, Ammodor is the way to go. Thanks Kevin. I had Kevin build a custom humidor from a large, steel electronics container I got on eBay. I have to say that the workmanship is absolutely amazing. Everything about the humidor is perfect. I couldn’t have asked for a better job. 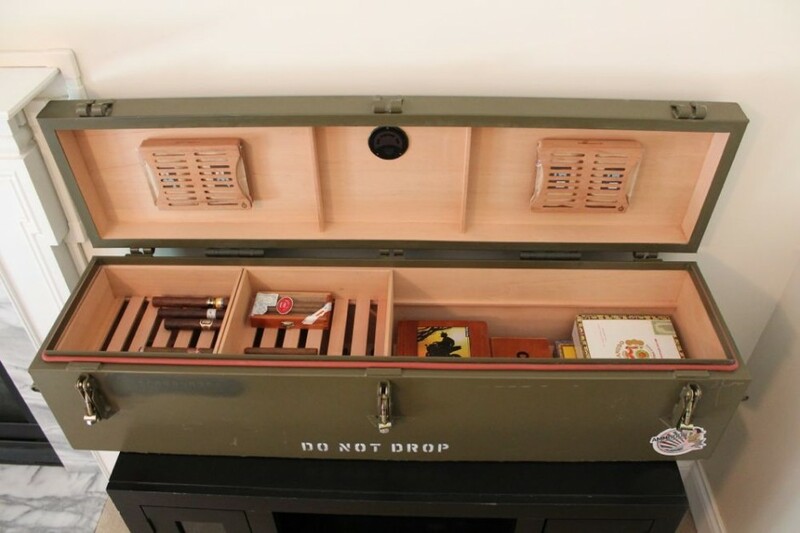 Custom humidors from vintage military gear.